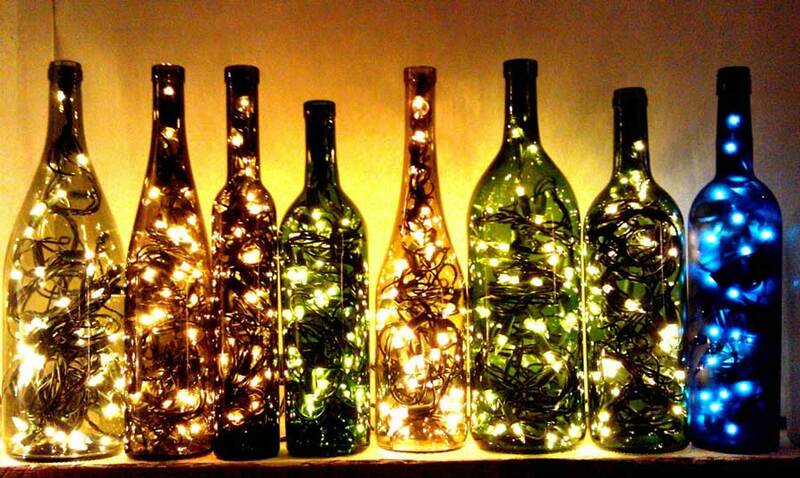 Empty wine bottles always seem to be surplus around the holidays. 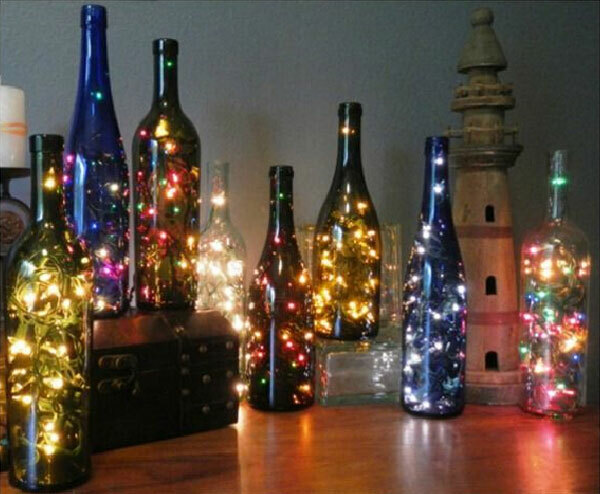 Have you ever thought turn them into a novel home decoration? 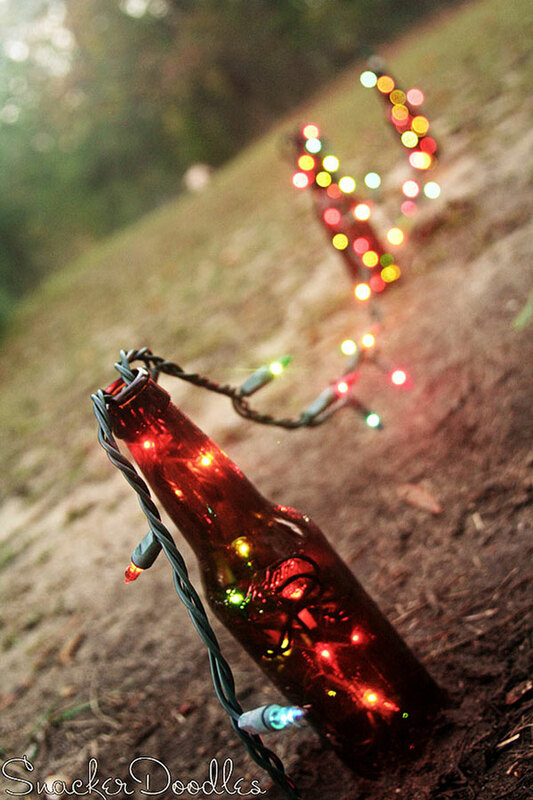 The following pictures will absolutely give you a good idea. 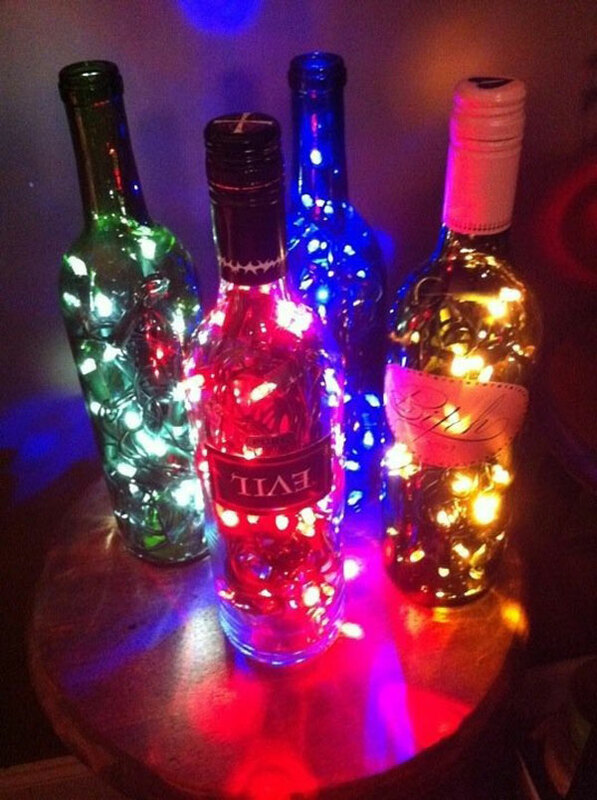 You’ll need a wine bottle, a short strand of Christmas lights, and some basic shop tools like a a drill with a glass drill bit, masking tape, and safety goggles and gloves. 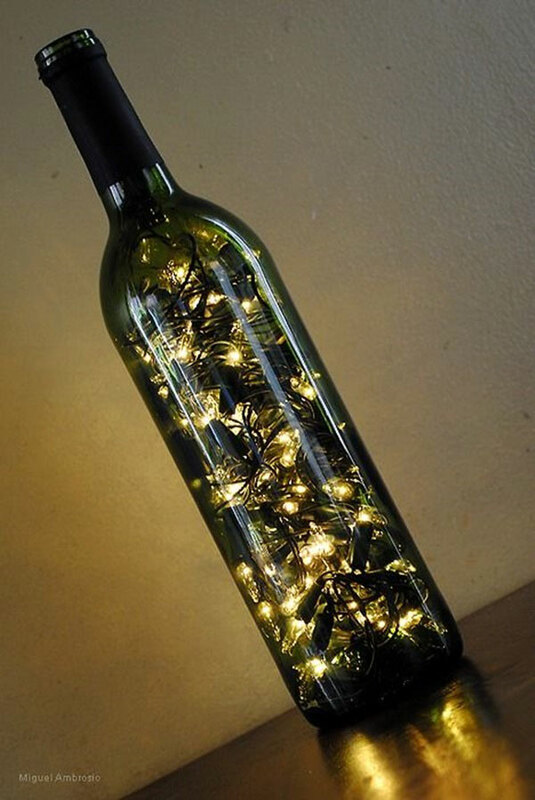 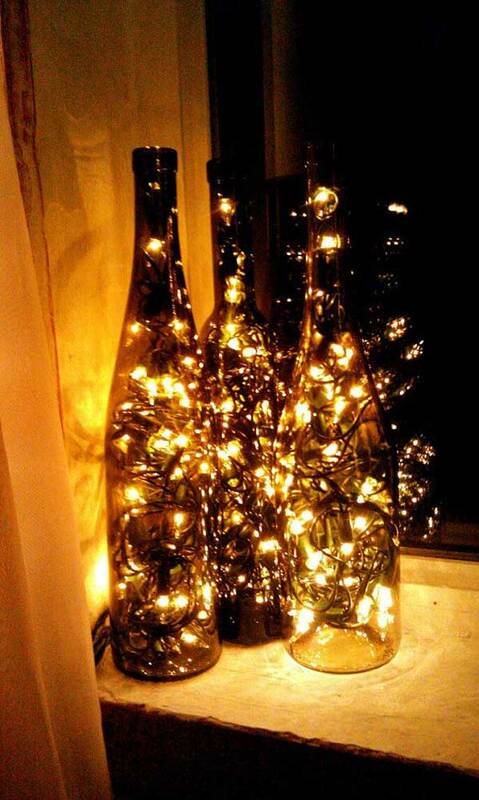 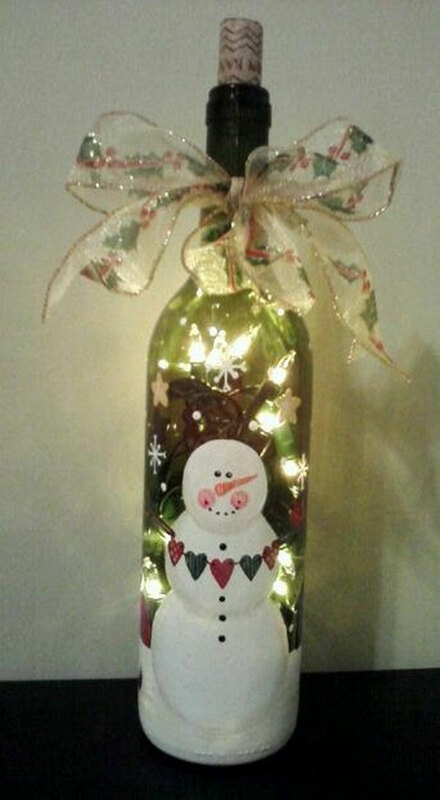 Drill a hole in the side of the bottle near the bottom and feed your lights in through the hole. 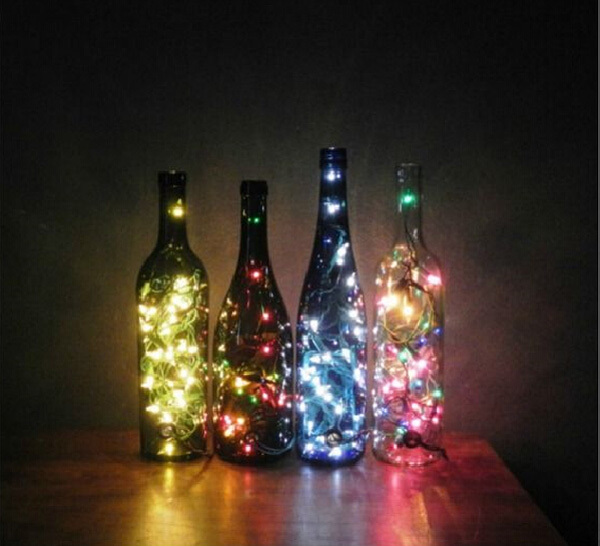 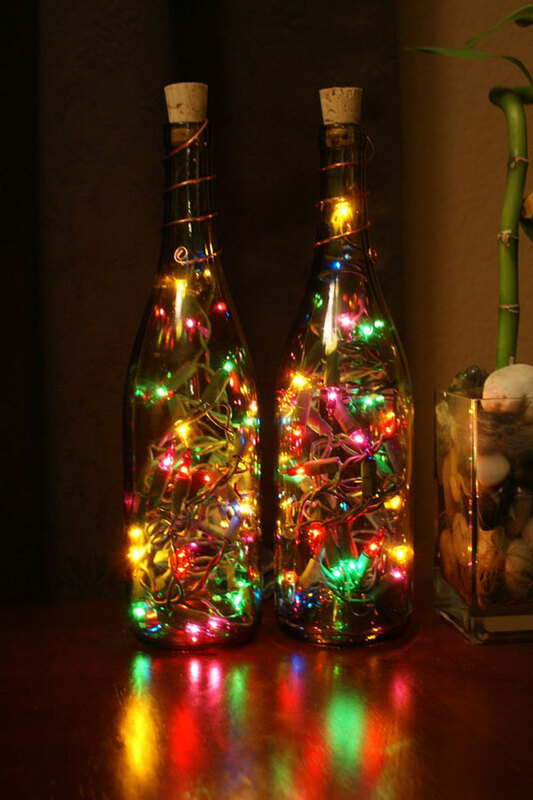 Plug it in and you’ve got yourself a rather novel lighted wine bottles.